So I gained 40 lbs during my pregnancy with Jellybean. After that, 20 lbs melted right off. Losing the other 20 pounds is proving to be a challenge. For a few weeks, I was going out for walks with Jellybean strapped in the Ergo Baby carrier. Then we started getting really hot weather in January which brought our walking to a stop. I started eating more salads and vegetables, but the salads were making me gassy, which was passed on through my breast milk to Jellybean. She started getting gassy and fussy, especially at night. That's no good! 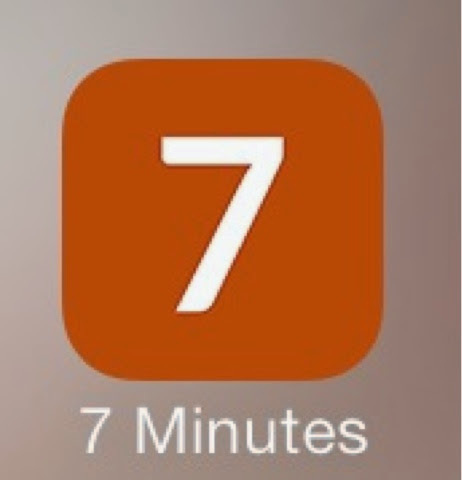 I downloaded this app called 7 Minute Workouts. I figure that if I cannot do a full 33 minute Figure Dance workout, I can split it up into smaller workouts and do a few sets all throughout the day. After all, even Jellybean's shortest nap can give me a few minutes to work out! The reason I am barely starting to work out is that my abs feel like they are back to normal. Following Jellybean's birth, I was too weak in the abs to lift myself out of bed for several months. My spine has also changed it's shape a little bit. But I'm feeling more and more like myself now so let's get the show on the road!!! I'm concentrating on workouts I can do at home and with minimal equipment! Jellybean's shortest nap is 10 minutes so I need to be able to accomplish a workout in less time than that!